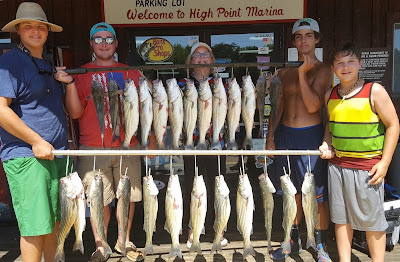 Today we got out early and caught bait and picked everyone up at 5:30. Fishing was slow for the first hour but after the sun got up well we put a hurting on them. Everyone had a ball reeling in fish today and went home with plenty of food for the freezer.